Is Making Tax Digital holding back your move to advisory services? 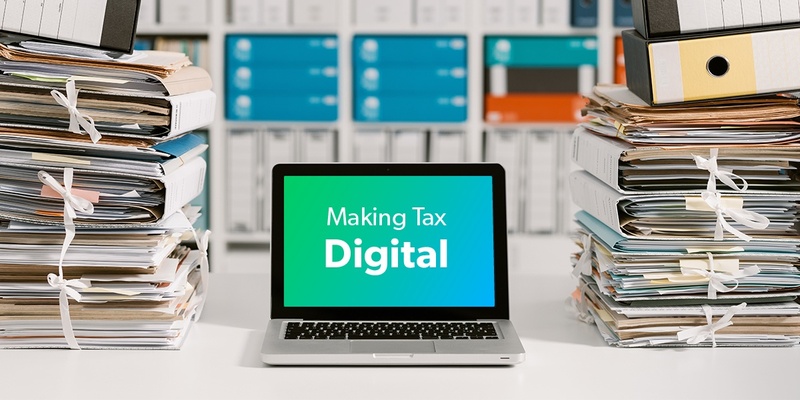 Making Tax Digital (MTD) is driving significant change in the UK accounting industry – with many accountancy firms racing to have the software systems, internal processes and client awareness of MTD needed to be ready for the 2019 deadline. But is your firm using MTD as a reason for not focusing on other areas of the business? Being ready for digital is important from a compliance angle, but it's also the first step in a wider journey towards delivering value-add services, deeper advisory insights and up selling those services to boost your overall firm revenues. Almost a quarter of UK businesses (24%) have not heard of the MTD programme according to recent research by BCC and Avalara. Given that VAT-registered businesses are scheduled to start using digital accounts from April 2019, that’s an extremely troubling statistic. And that means you rethinking how you add value! The key here is to embrace the change that MTD is driving. It’s not just about changing software. Going digital is an opportunity to change your way of thinking, update the services the practice offers, and rethink your ways of relating to clients. It’s all very well to move to Xero or QuickBooks and to say you’re now MTD compliant. But this misses the intrinsic additional benefits of the cloud approach. If you’re working in the cloud with a desktop mindset, you won’t go very far – so you need to evolve, and fast! Digital submissions for VAT is the first iteration of MTD, and things will get considerably more complex with the planned move to MTD for income tax in 2020. But with the right accounting platform in place, MTD isn’t hard work. The question is, are you making it hard work? Are you using MTD as an excuse to put off the inevitable, and to move the practice into the uncharted realms of business advisory services? Clients will love that their basic compliance is taken care of. But they’ll also want more help with the big challenges they face as business owners, and a clearer view of their performance. Performance is key: Likes. Retweets. Instant gratification – they’re the order of the day in the digital world. And clients expect that same instant feedback on their business numbers – in the way they’ll check their ‘likes’ on Facebook, or look at ratings on TripAdvisor or Netflix. In short, we live our lives through numbers now. Your new role, as a business adviser, is to be the conduit to these statistics and the driver behind improving performance. Instead of being the number cruncher, you can now add real value by helping clients manage their key performance indicators (KPIs), and improve those metrics over time. 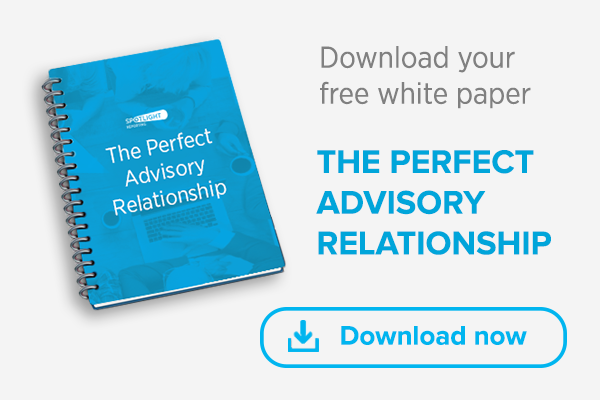 Use MTD as the launchpad for your advisory ambitions, not as a ball AND chain that ties you to compliance. When you change your mindset around MTD, you’ll see the possibilities. It’s an opportunity generator, not a workload increaser. Use it to reduce your workload, make life easier and free up time. And use that time to bring clients real value-add services. You have the opportunity to use your professional skills to bring real change to UK businesses, and the wider economy. Shake off the stereotypical ‘dull accountant’ image and become an inspiring role model for the industry – become that trusted expert. Don't be scared of it. Own it and make it work for you! Here at Spotlight Reporting, we’re real believers in the power of advisory services. And we give you the core tools needed to bring your clients financial and non-financial numbers to life. Our reporting dashboards link to your clients’ accounting platform and pull through the key digital numbers. So when you sit down with clients, you can show them their important KPIs, help them manage their personal wealth plans, or measure performance against defined action plans – with Spotlight becoming the enabler for you to showcase your experience and bring clients real value as a business adviser. It’s time to embrace MTD, evolve your practice services and become the trusted adviser and business coach you always wanted to be.